Loads of cabin space front and rear. Lots of safety kit. Engines are all frugal and even the most powerful deliver low CO2 emissions. All electric B Class from Spring 2015. Ride too firm in all conditions. Inconsistent steering response undermines driving pleasure. Dash-top information screen could be clearer. 7G-DCT transmission has as many problems as previous model's CVT. 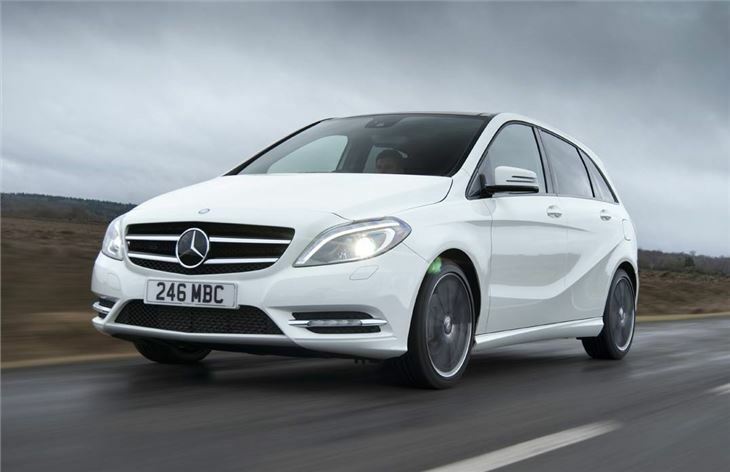 Report that Mercedes-Benz B-Class B180s, B200s and B220s fitted with OM651 1,796cc and 2,143cc engines are being recalled for a free NOx emissions fix that takes 1.5 hours workshop time. 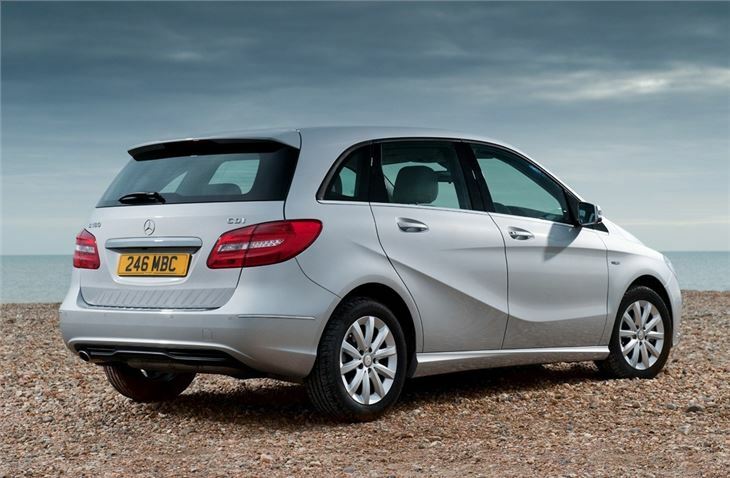 The Mercedes-Benz B-Class is a development of the ideas originally thought up for the first generation of A-Class. This is why the B-Class has tall sides and single box styling, whereas the A-Class has developed into a more traditional premium hatch. 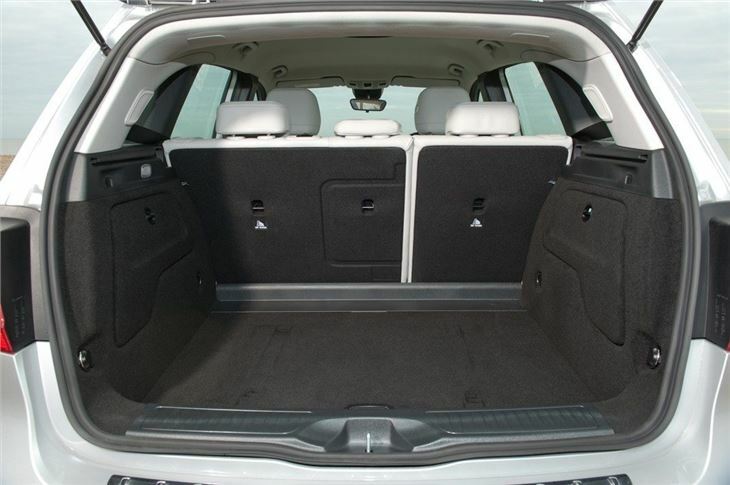 Those tall sides give the B-Class ample interior space for five, making it a plausible alternative to many MPVs and crossover rivals. Add in the appeal of the Mercedes-Benz three-pointed star badge, a large boot and strong build quality and the B-Class begins to build a case for itself. There’s a choice of two petrol versions, which both use the same 1.6-litre turbo petrol engines in two different outputs. You can also choose from a 1.5-litre diesel or two versions of the 2.1-litre diesel and the most powerful diesel is also available with 4Matic all-wheel drive. 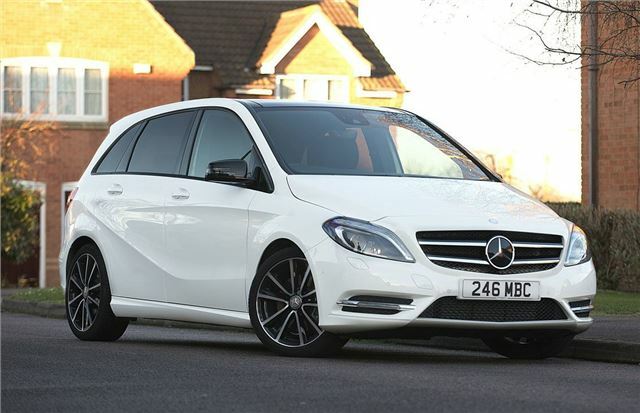 While the variety of engines and premium appeal of the B-Class will attract some to its ranks, this Mercedes-Benz does not offer much in the way of driving thrills. The handling is at best average for the class and the firm ride is necessary to stop the tall-sided B-Class from lolling about too much in corners. 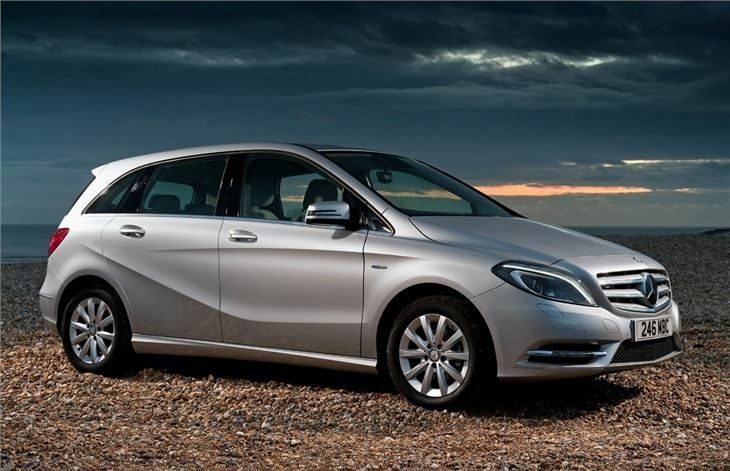 Where the B-Class does regain ground is the amount of safety equipment supplied as standard with the car. All B-Class models have seven airbags, a Collision Prevention Assist Plus system to avoid accidents happening in the first place, plus a driver drowsiness warning. Mercedes-Benz also includes automatic child seat recognition to deactivate the front passenger airbag when a child seat is fitted. For some, the safety and practicality of the B-Class will be enough of a draw, even if Mercedes-Benz offers cars from within its own ranks that are more fun to drive. 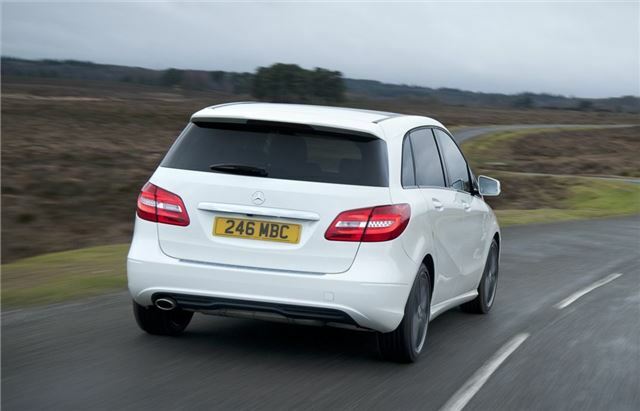 For others, the B-Class will be too expensive compared to rivals that make do without a Mercedes-Benz badge. Very well made, roomy and so economical.